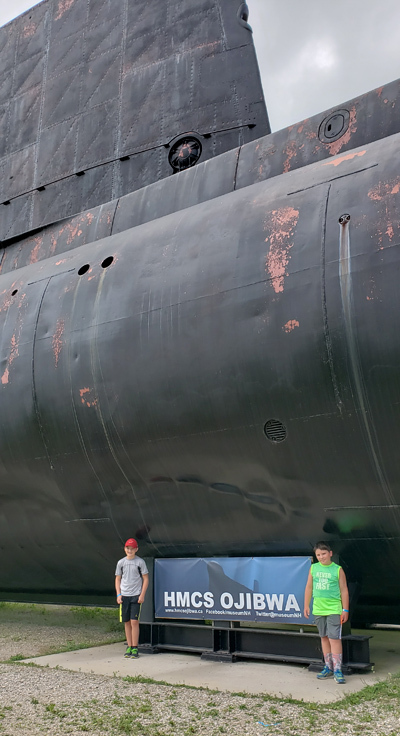 We visited the submarine display in Port Burwell a few years ago, and were impressed enough to take two of our grandsons, Liam and Jack, to visit the display this week. The HMCS Ojibwa served in the Canadian navy during the Cold War from 1965 to 1998. 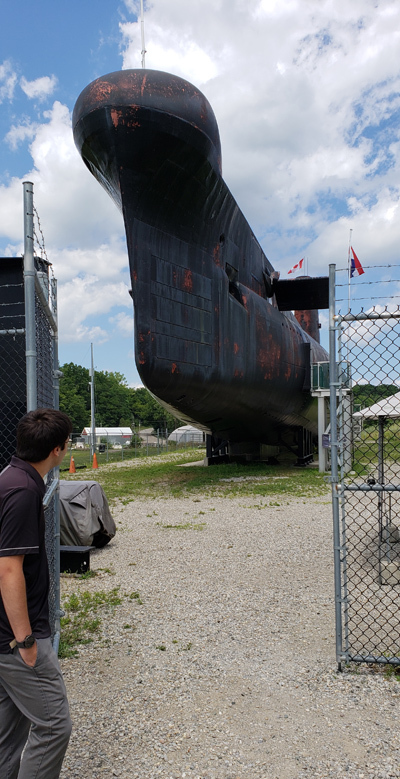 The ship was mothballed for a few years until it was bought by BMT Fleet Technology Ltd to become part of the collection of the Elgin Military Museum at nearby St. Thomas. Because of security considerations the transfer of the sub took some time to negotiate. The purchase was finally completed in 2012, and the ship was moved from Halifax to Port Burwell later that year. The display site in Port Burwell opened in June, 2013. From the beginning there were financial problems and lately the site has fallen onto fairly hard times. As impressive as the display is, and as interesting as the tour is, the whole site needs some significant upgrading. Inside the ship appears to be in pretty good shape, but outside is a different matter. Somebody or some public organization needs to take this project under its wing and give it some new energy. I have a feeling that unless that happens the operation will not be there a whole lot longer.